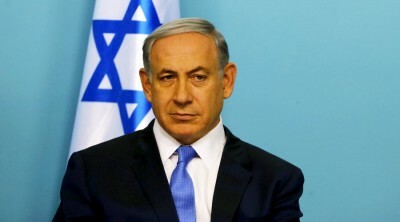 Benjamin Netanyahu was an Israeli kid, raised in America; steeped in the revisionist Zionist philosophy of his father, a disciple of Vladimir Jabotinsky, the extreme right-wing revolutionary who founded the Irgun terrorist organisation that, in 1946, blew-up the British Military headquarters in Jerusalem’s King David Hotel in mandated Palestine. 92 people were killed in the unprecedented attack that Irgun carried out without regard for civilian or human life. It was the first example of Middle East terrorism intended to procure political change by violence. That was the brand of extremist politics that eventually morphed into the Likud Party, a coalition government of which Netanyahu now heads as prime minister. Its mission is, of course, a ‘Greater Israel’ ethnically cleansed of the millions of indigenous Arabs from pre-1948 Palestine as it ignores international opprobrium in order to try to achieve its goal. Likud strategy has been to induce thousands of its citizens to leave their homes in Israel to settle on Palestinian land in a blatant violation of international law, a violation that is condemned by the UN, the EU and the US as an illegal act that establishes so-called ‘facts on the ground’. However, Netanyahu’ upbringing has blinded him to reality and the fact that the world rejects absolutely colonial Zionism and the revisionist politics of Jabotinsky. Netanyahu is well aware that although Europe is Israel’s primary trading partner, he treats the human rights provisions of the EU Association Agreement with contempt, secure in the knowledge that he can easily switch his export market to either the US or China – or so he thought until last week! His rationale was simple: an all-powerful Zionist lobby in Washington will continue to enable him to dictate foreign policy to Congress (as well as obtaining US$6 billion annually from the US taxpayer). As for China, Israeli bilateral trade has been increasing in a market where there has never been any history of anti-Semitism. And therein lies Netanyahu’s fatal error because although the Chinese have long admired and respected Jewish innovation and technical expertise, they refuse to subscribe to Likud’s persecution of five million Palestinians. The Chinese premier made that point crystal clear to Netanyahu last week. There must, he said, be an independent Palestinian state with Jerusalem as its capital. And that announcement eﬀectively marks the end of Netanyahu’s political career and the demise of Likud’s philosophy based on the discredited colonial agenda of Revisionist Zionism. The Israeli kid is older now and since last week, belatedly somewhat wiser as he starts to think about looking for a new job, perhaps as a travelling salesman for German-built submarines now armed with nuclear warheads?